Every XPT should have this blow off valve! The stock BOV (Often called a diverter valve) is made of plastic and is known to warp. Warping can cause this to leak boost pressure which means a loss in horsepower. This happens especially on higher boost machines, but also can happen with stock boost levels. We set this BOV up just for the XP turbo to make sure no boost is leaked on higher boost machines, and that the valve blows off under lower boost pressure. 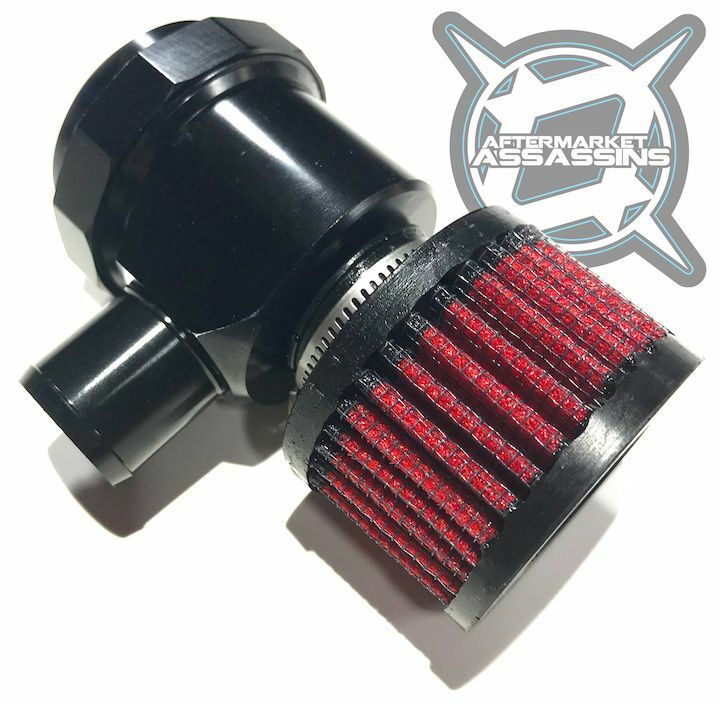 Optional high quality filter available for those wanting to run this open as a blow off valve. 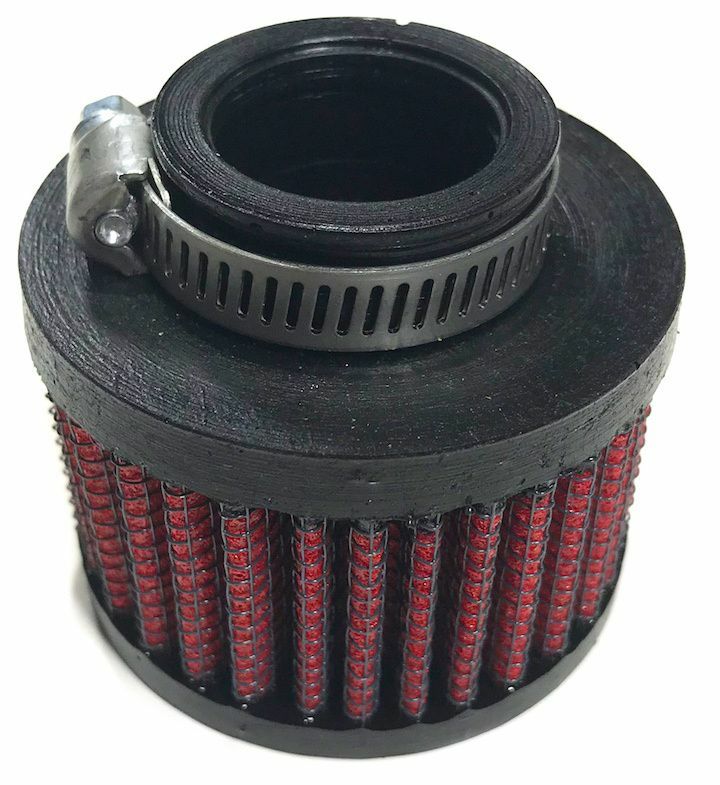 This filter is not necessary as positive pressure only comes out of the valve, but it is a peace of mind that you are keeping every spec of dirt out. Wanting that BOV sound? You can easily plug your hose returning the valve to the intake tube with a 1" plug which is supplied. This will give you that sound and allow you to switch back to the factory "diverter valve" routing if riding in muddy/wet conditions. Why use this style instead of a true blow off valve? Well.... they do the exact same thing. 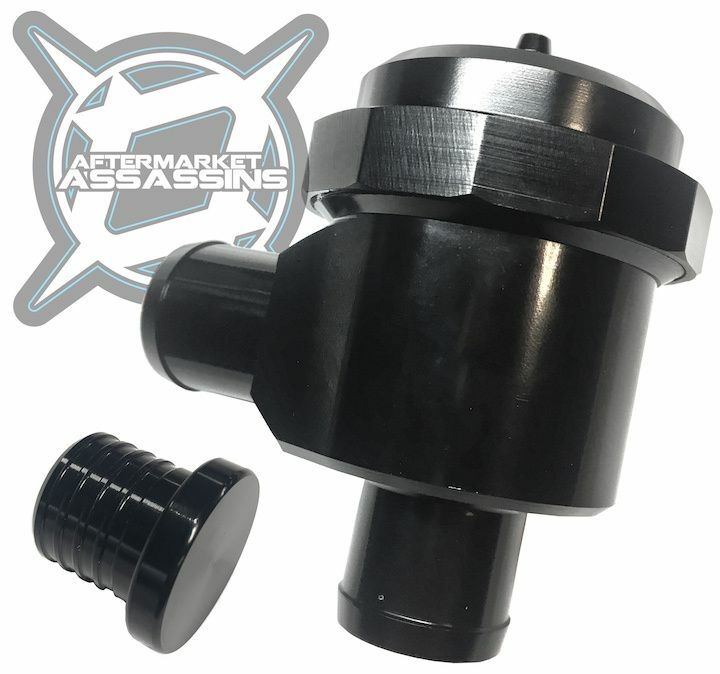 For off road, the diverter valve is much more sheltered from dirt and debris as it only has 1 exit port. Traditional blow off valves have many ports, and are much more likely to get dirt inside of them. This valve also sounds the same as a traditional blow off valve.